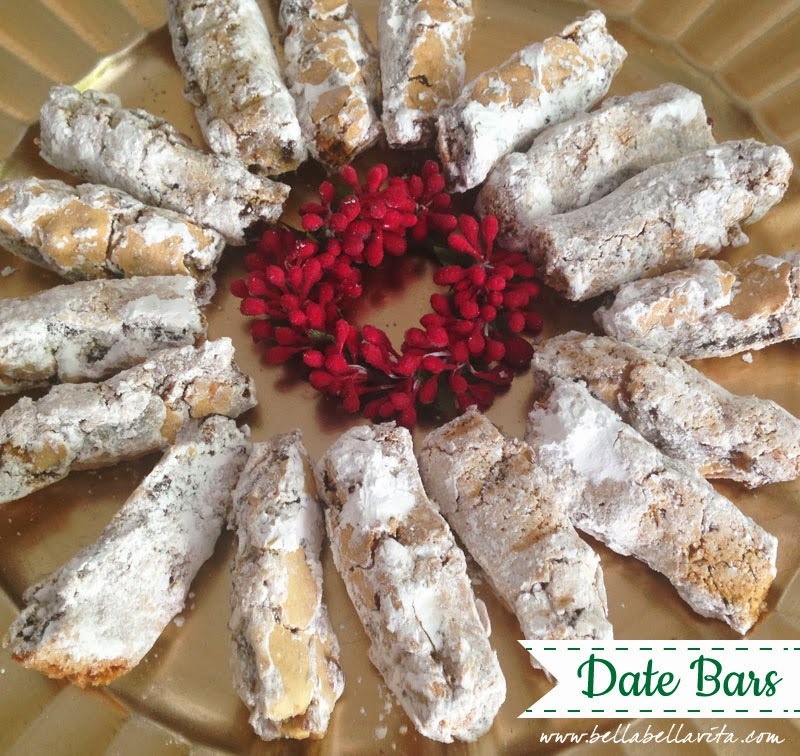 My Grandmother Josie's Date Bar recipe is our family favorite and it just isn't Christmas unless we make a lot of them. It is my go-to cookie holiday gift and is the most requested recipe that I bake. We have a couple of friends who have been known to hide them from their sons. One of our friends hid them on top of his dining room cabinet, only to discover an empty box in the morning. Another other friend locks them in his desk drawer. Seriously, they are that good! This recipe has no dairy in it, which is another plus for all of my dairy-free friends. I hope you enjoy it as much as my family has ... my grandmother passed away 10 years ago this December and she is truly missed. Love you grandma! 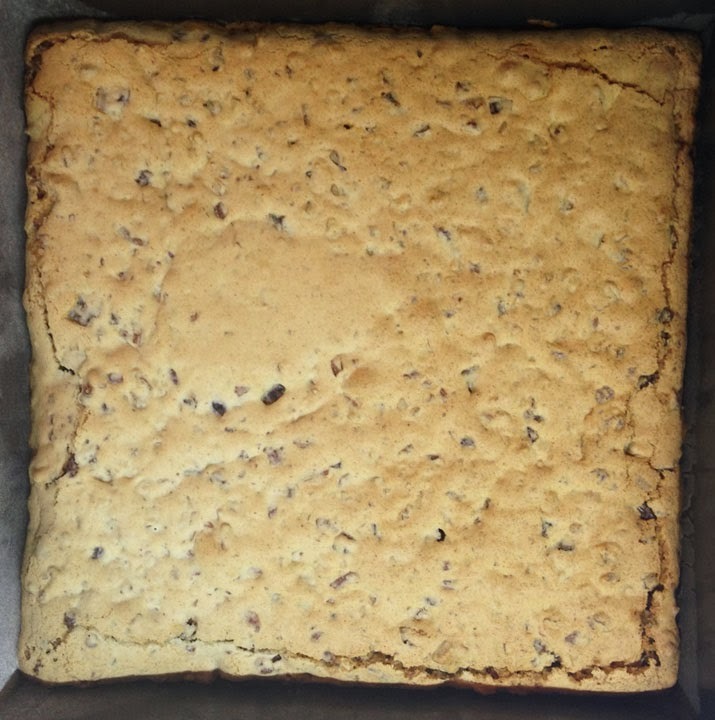 Grease and lightly flour a 9" square baking pan. Whisk or sift together flour & baking powder in a medium mixing bowl. Set aside. Using a Kitchenaid mixer, beat eggs and then beat in sugar; mix well. Add flour mixture to wet mixture a little at a time and mix until well blended. Be sure to scrape down sides of bowl when mixing. 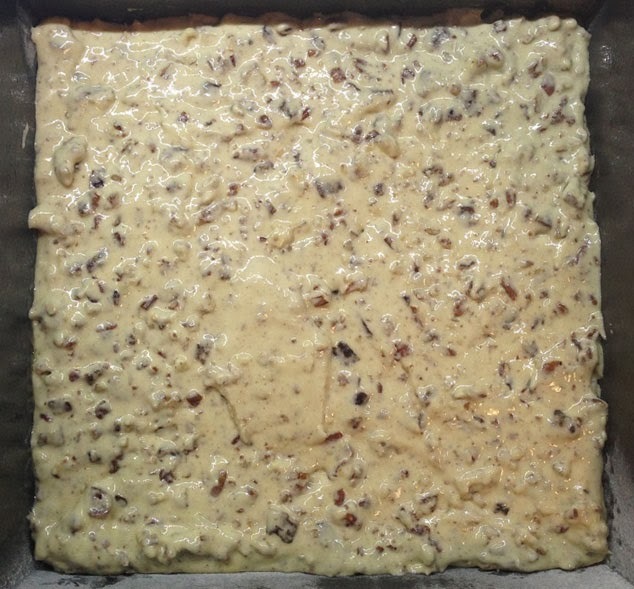 Stir in pecans and dates. 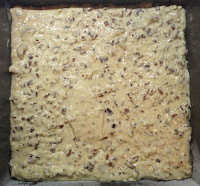 Spread batter into the baking pan with spatula. Batter will be thick and needs to be spread around to fill the pan evenly. Bake for 25 min or until toothpick comes out clean. Cool on wire racks for 5 minutes; while still warm, cut into logs (1/2"W x 2"L) and roll in powdered sugar to coat. Cool cookies completely on wire rack. It's really important to roll the cookies in the powdered sugar while they are still warm. Otherwise, the sugar won't stick. 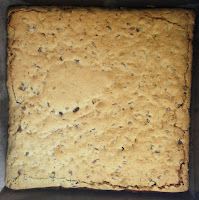 It helps to use a metal spatula to cut the cookies and remove them from the pan. They will be moist and crumbly inside and have a crunchy outside coating. I press them into shape while rolling them in the powdered sugar. If you have the Paprika recipe app and would like to download this recipe, please email me and I'll send it to you in the correct format. Happy holiday baking & have a sweet day!